Enjoyed another game of Uwe Rosenberg's Glass Road (2013) earlier this week. 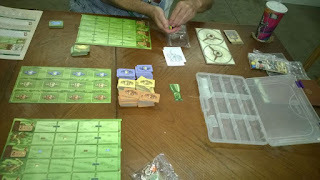 I still feel it is one of the best of the Harvest Series but now I want to go back and play a game or two of Le Havre. 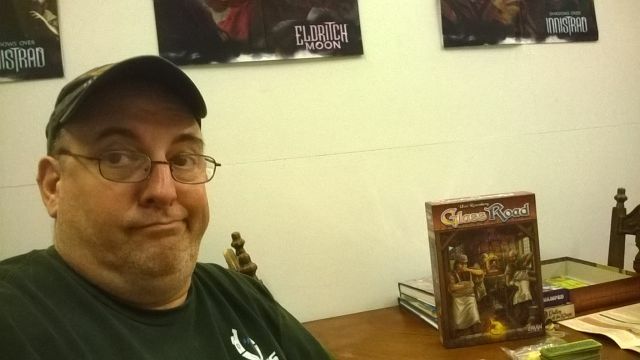 Maybe even a game of Caverna, though I dread the setup for the latter. 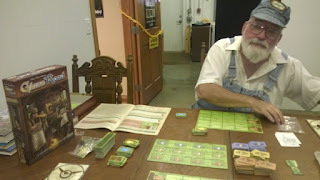 Agricola seems a great starter game for the series but I am not sure it has the legs to see the game table much once the others have been introduced. I still have yet to play At the Gates of Loyang (2009) but since that one is early in the series, I am wondering if it will interest me as much as the later games. 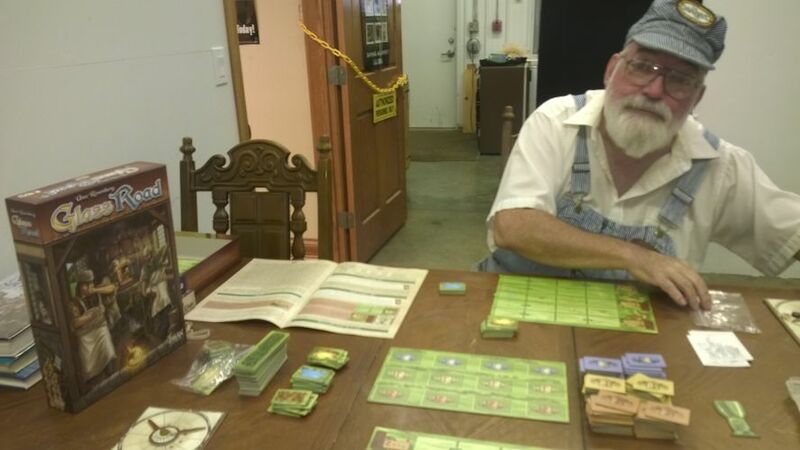 I still have high hopes for Fields of Arle (2014). Ora et Labora feels like my favorite, though Glass Road is a dlose third (with Le Havre in second). The double-rondel mechanic is very intriguing though I find it might distract me a bit from the acquisitions and the playing areas of my opponents. Not a fault of the game, just me getting too deep in my own head space and not watching down field. It didn't actually hurt my game play this time because we played two players and we were not competing for the same things. In a game with more players I would have likely missed getting a few things and been scooped by others.